The interactive tool is aimed to increase transparency about projects across the city. Users can search by community district, applicant, borough, project stage, actions taken and more categories. 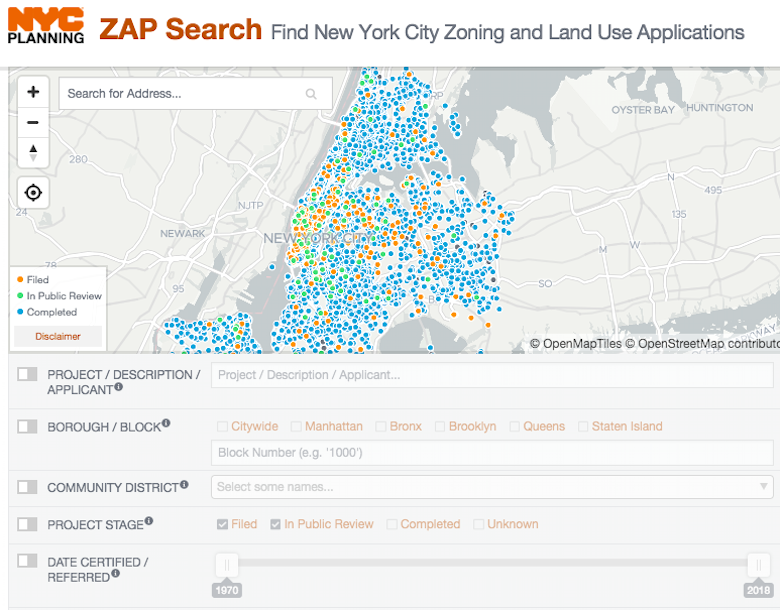 ZAP also includes direct links to other resources like the sites from the Department of Finance, Department of Buildings and the DCP’s “ZoLa” map, which identifies zoning regulations by neighborhood. In terms of its visual look, the tool nicely displays “actions” and public “milestones” of different applications. As seen above, the designation of the Central Harlem Historic District is identified, with the Landmarks Preservation Commission as the applicant. Under milestones, easy-to-read bullet points show which stage the application is in. The search also provides environmental review information and links to relevant city documents. 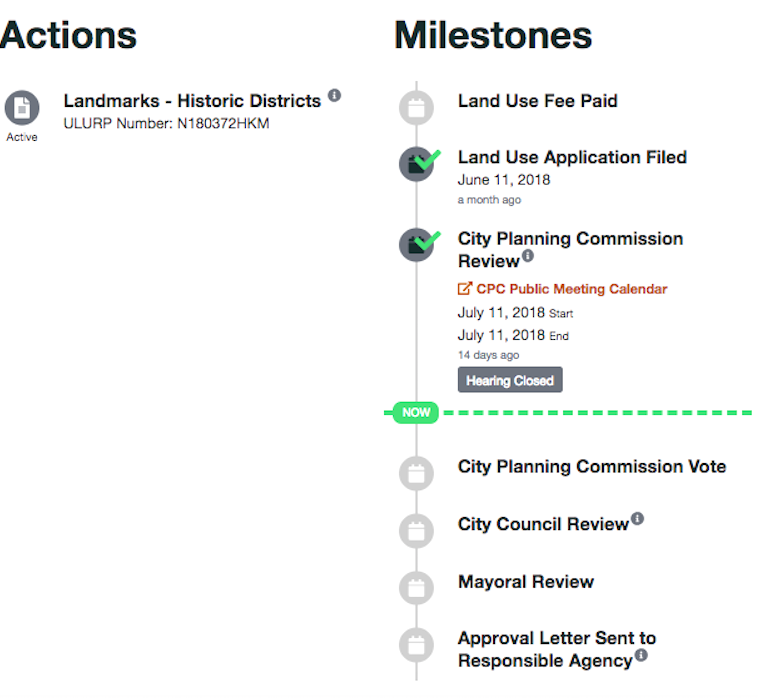 And the tool helpfully notes whether or not the community board and borough president provided recommendations and any changes made by the Planning Commission or the City Council. Explore the new tool here.